While many leaders in Germany were in favor of Operation Sea Lion, Hitler was initially against it as he was more interested in a peace agreement with Britain. 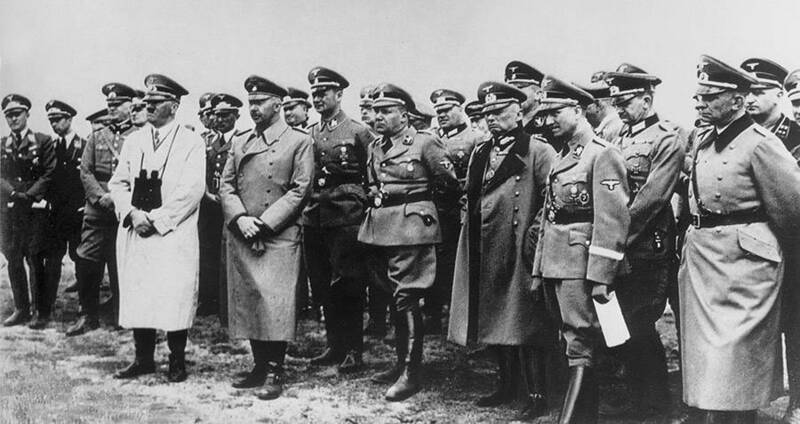 Hulton Archive/Getty ImagesAdolf Hitler stands with Heinrich Himmler (to his immediate left) and his staff, contemplating the chances of an invasion while looking across the English Channel from Calais during World War II. During World War II, the Nazis planned to invade the United Kingdom during the Battle of Britain. Its code name: Operation Sea Lion. It was an apt code name, as the plan relied on Germany gaining control of the English Channel. Operation Sea Lion didn’t start as a cohesive and universally agreed on plan. In fact, Hitler himself was not initially in support of it. Of those within the German military leadership who were discussing an invasion plan, opinions on how to go about it differed. Erich Raeder, The Grand Admiral and commander of the Kriegsmarine of the Luftwaffe wanted the invasion to be a blockade so that they could cripple the British economy. Other leaders of the German Army wanted a seaborne invasion, which would land 100,000 men ashore in East Anglia. But whichever way members of the German army wanted to invade Britain, it was a moot point without Hitler on board. Hitler’s position was crucial — without his support, there would be no invasion at all. Hitler looked at an invasion as a last resort. He was more interested in a peace agreement with Britain, with an invasion being the last option. Towards the end of June 1940, however, when Britain declined peace agreements, Hitler said go. 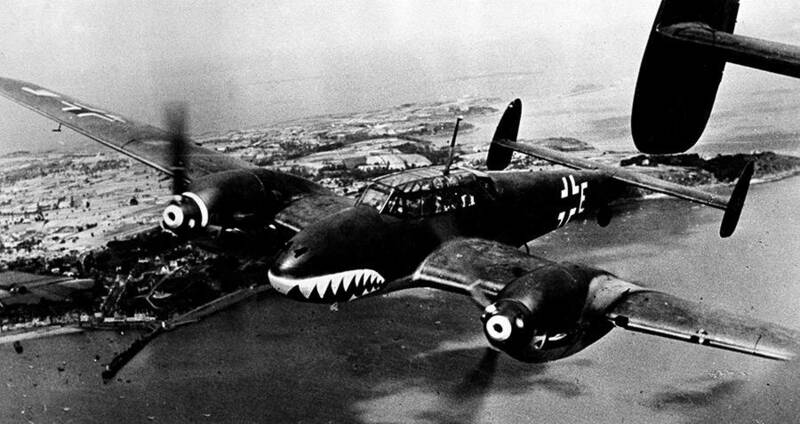 ullstein bild/ullstein bild/ Getty ImagesGerman fighter planes Me-110 above the British channel during the Battle of Britain. Operation Sea Lion relied on Germany gaining control over the English Channel. This seemed possible, except it didn’t just involve water. The Germans had to gain control of the skies as well so that British Air Force wouldn’t be able to attack German ships crossing below. The Germans would have to clean the English channel of mines and subsequently lay their own mines. Hitler wanted the plan to be carried out on Aug. 16, 1940, but pushed it back to Sep. 16 when he was told that his initial date was unrealistic. The Luftwaffe was very experienced in modern warfare, while a lot of Britain’s military technology was compromised as a result of the Dunkirk Evacuation. Both the Air Force and the Army in Britain looked weak, with the Royal Navy appearing as their only strong point. The Nazis, on the other hand, were on a bit of a high. They had already conquered Belgium, Holland, and France. After defeating France, Britain was the only European power not to have fallen. Knowing of the planned attack, British troops set up lines of defense. Failing to gain control of the sky, Operation Sea Lion continued to get pushed back. Hitler indefinitely postponed Operation Sea Lion. The Royal Navy was too strong, and it is said that Hitler wanted to turn his full attention to Soviet Union. The Germans lost the battle of Britain, so an invasion never happened and a return to a plan for one never did as well. Now read about how the Nazis rose to power.